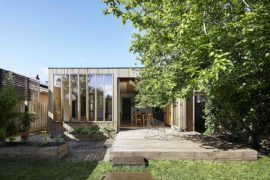 Anytime you come across an old house that has been around for decades, the burden of poor alterations and unwanted extensions seems like an almost inevitable and unwanted byproduct. 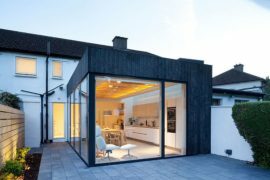 And this is precisely why most homeowners opt for modern extensions and renovations that not only get rid of the poorly planned and unnecessary partitions, but also give the home a new lease on life. 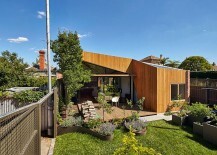 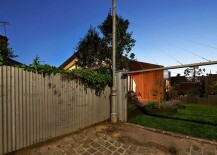 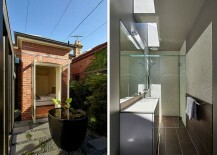 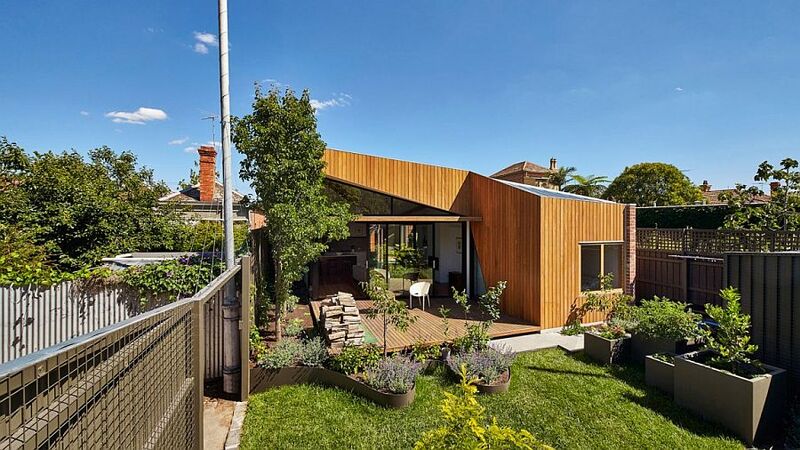 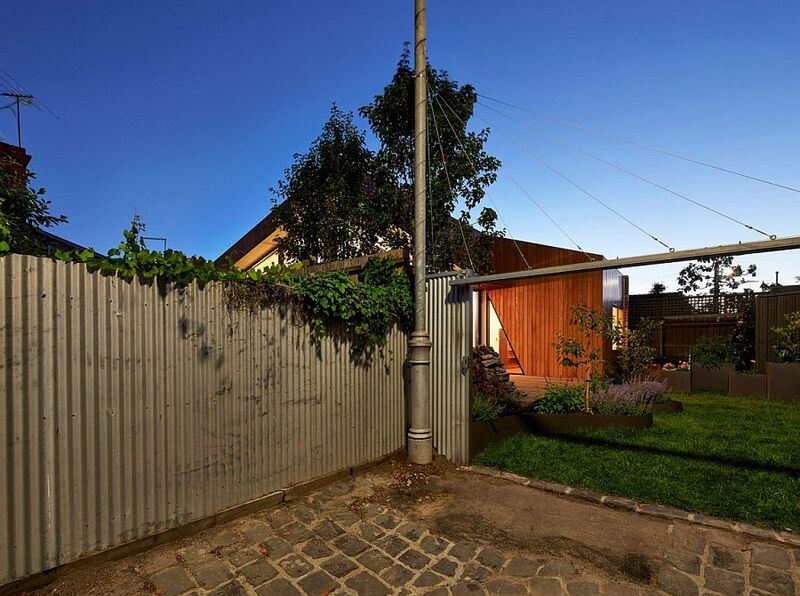 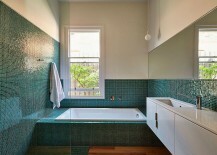 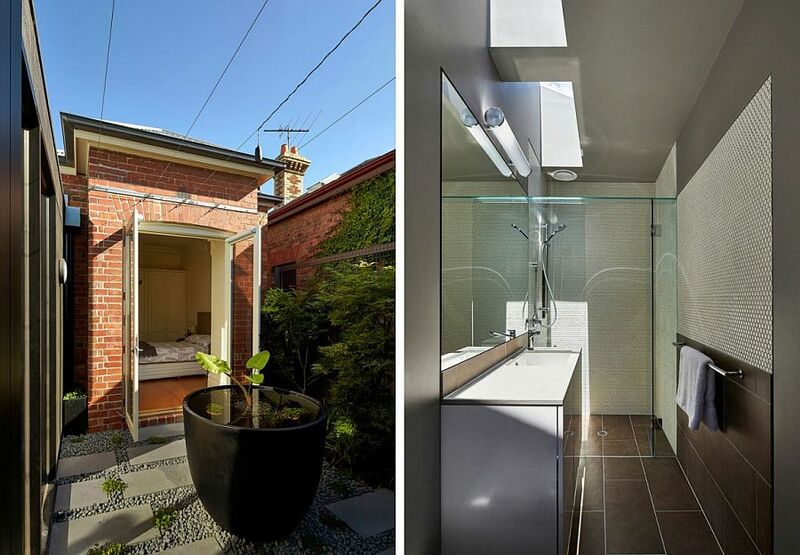 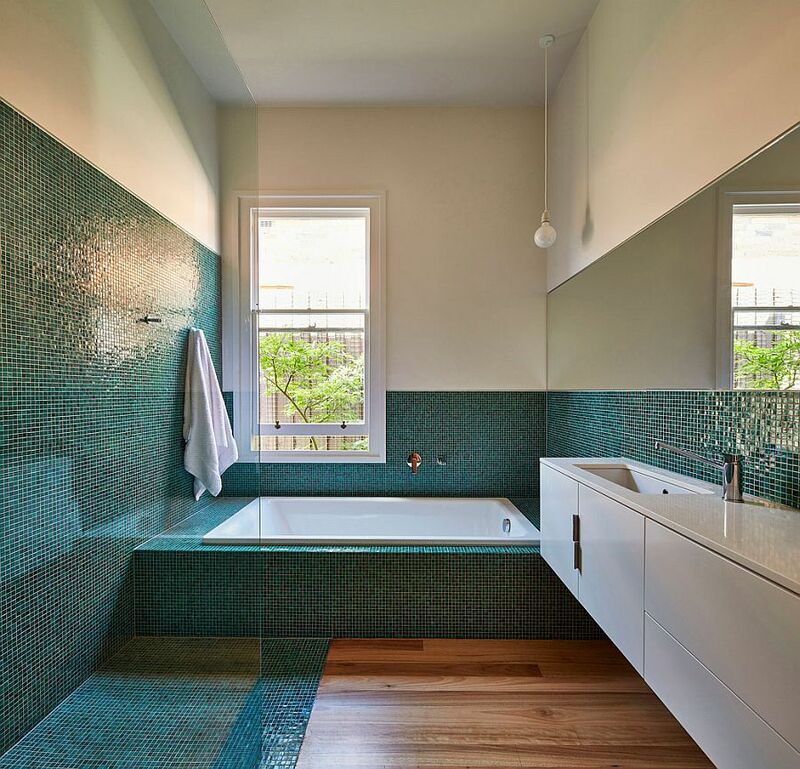 Nestled in the lovely suburb of Fitzroy, this Aussie home was in urgent need of one such magic makeover. 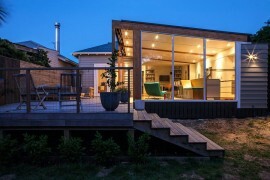 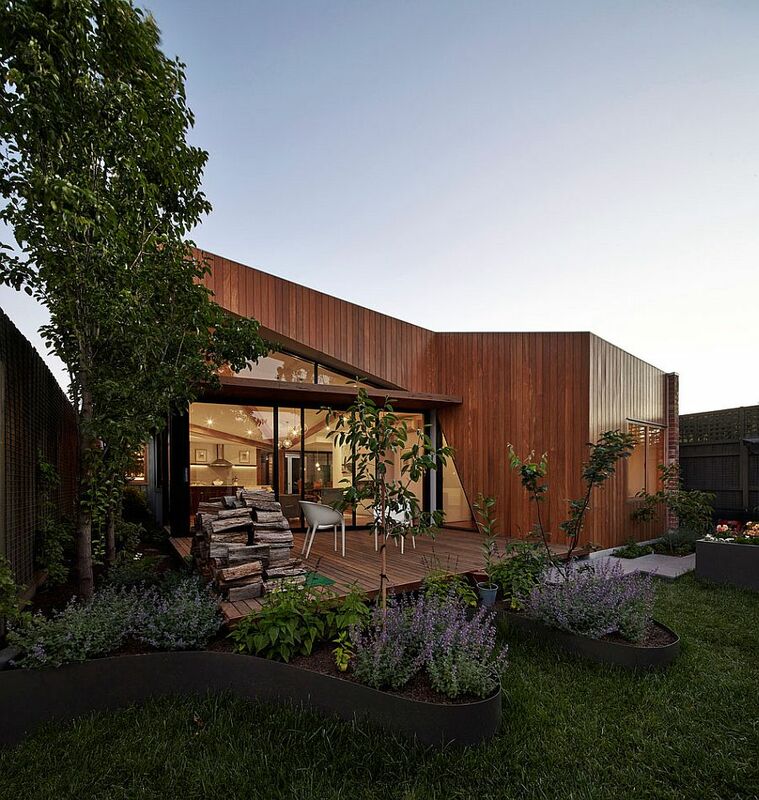 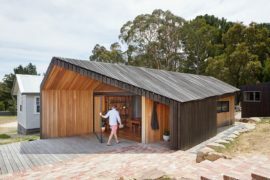 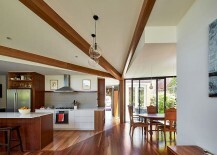 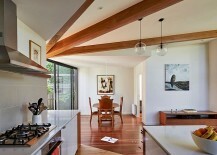 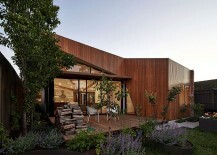 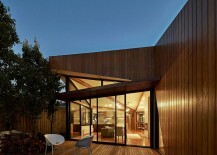 The task fell to Simon Whibley Architecture & Antarctica, who employed a unique and ingenious timber structure to give the home a fresh, contemporary overhaul. 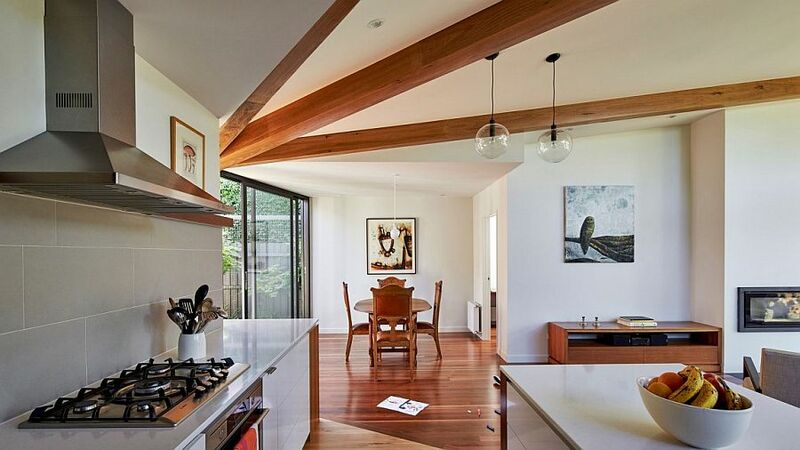 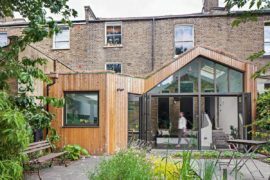 It is this new rear addition that gives the home its name, the ‘Diagonal House’, as the reorganized living space, kitchen and dining room are arranged upon a diagonal line laid across the original extension. 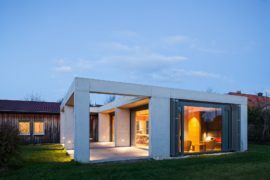 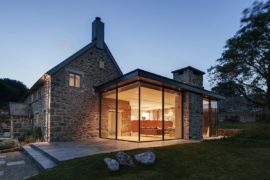 Crafted using timber and recycled brickwork, the extension is both aesthetic and eco-friendly and further gives the home energy-saving attributes, thanks to the passive heating and cooling techniques. 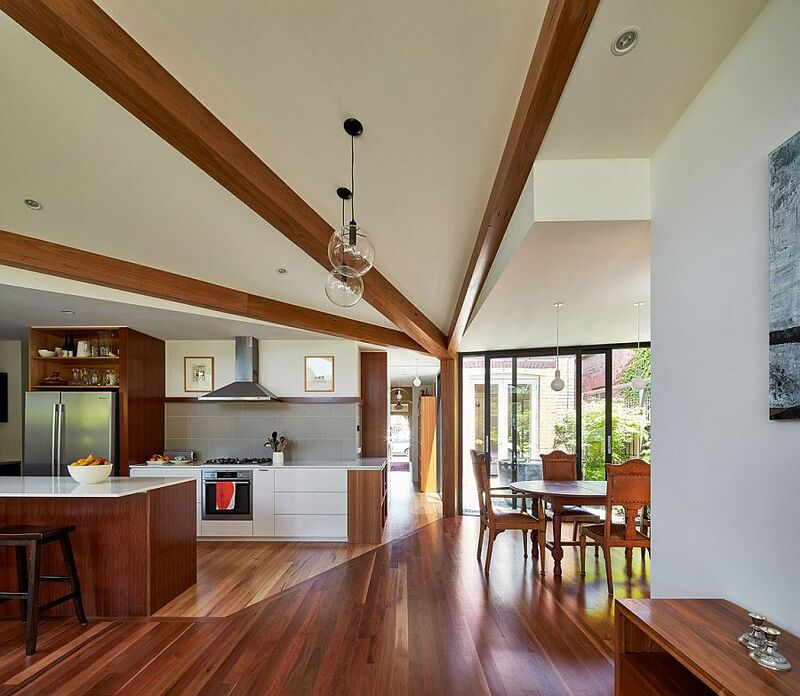 Glass doors and walls connect the kitchen and dining spaces with the courtyard outside, and this revitalizes the interior and gives it a bright and cheerful ambiance that the homeowners desired. 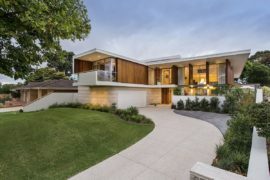 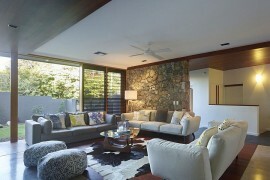 The front section of the existing home was kept more or less the same, with a minor rearrangement of spaces and transformation of the original living area and kitchen into additional bedrooms and guest areas. 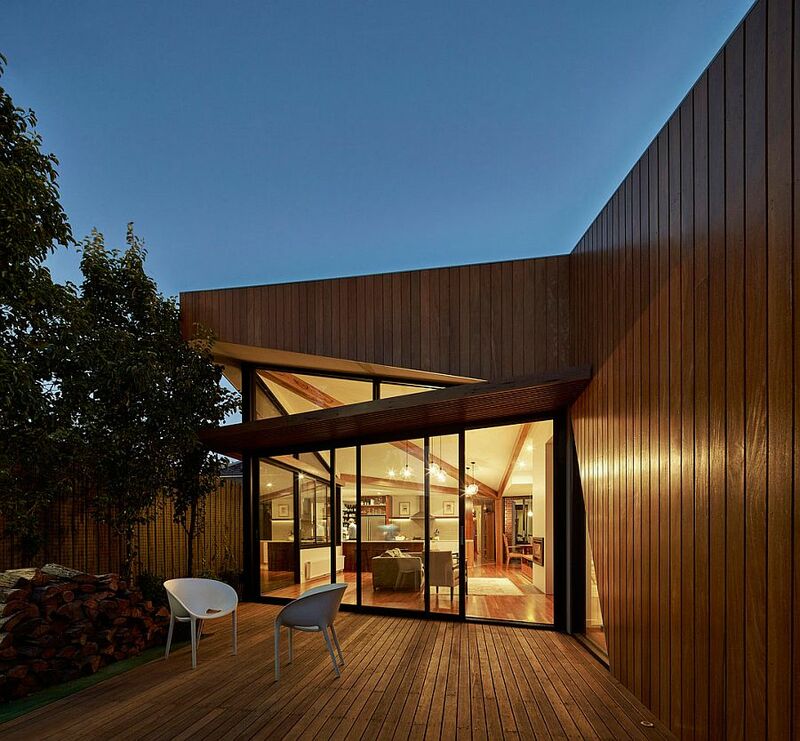 Striking, imaginative and eco-conscious in its own right, this is an extension that is all about a smart marriage of form and function.